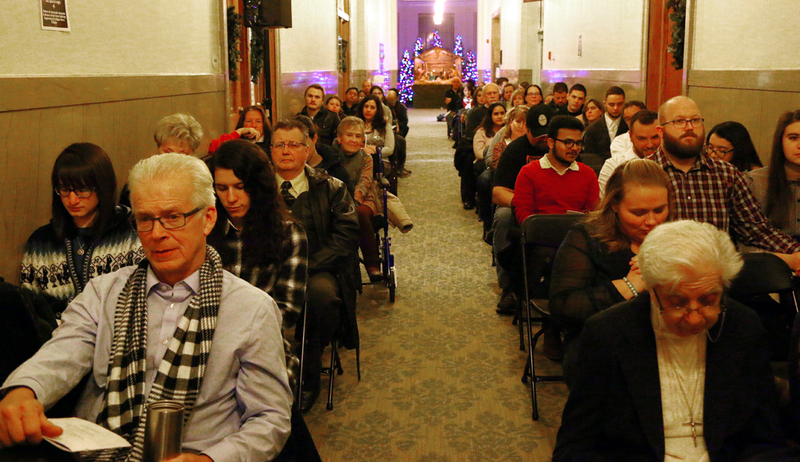 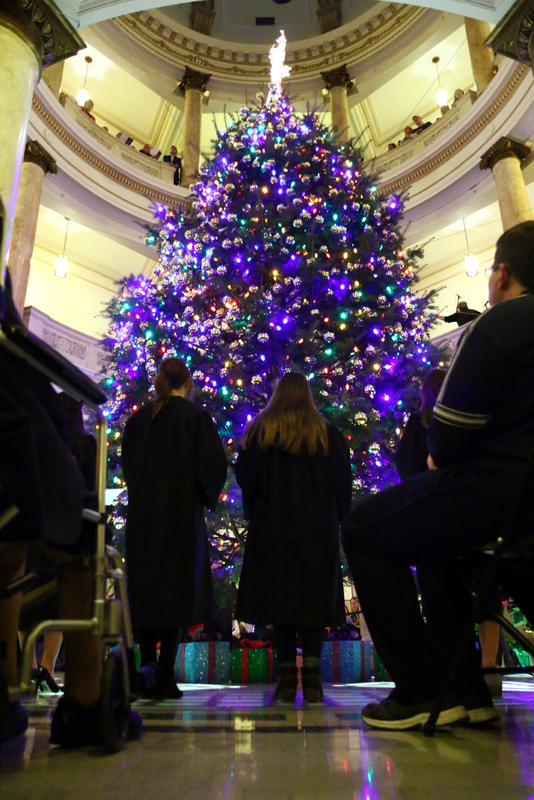 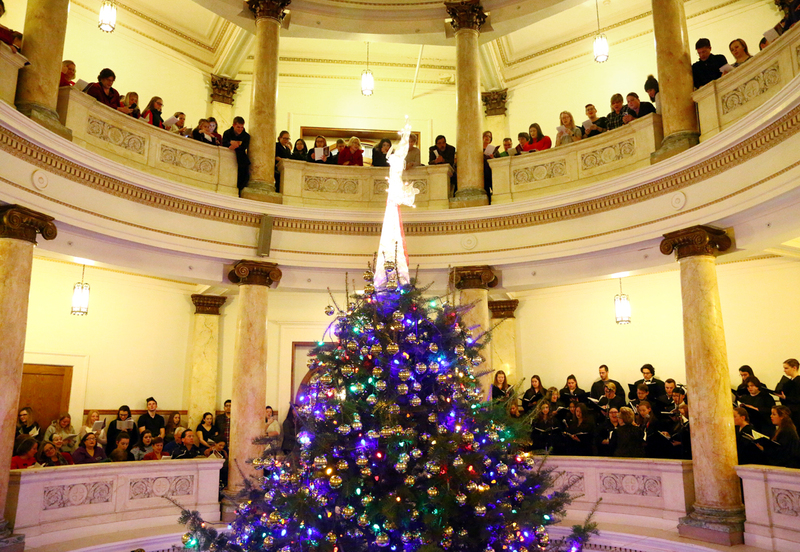 Christmas spirit soars under festive rotunda at Immaculata U. 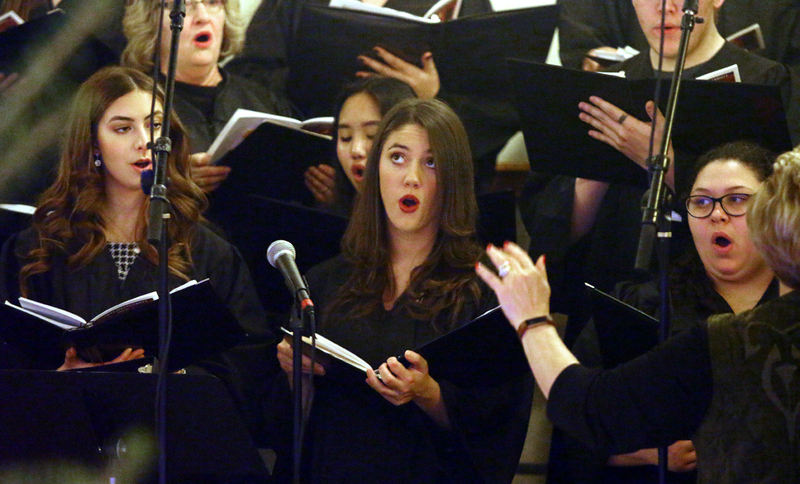 A choir leads the participants in a sacred song. 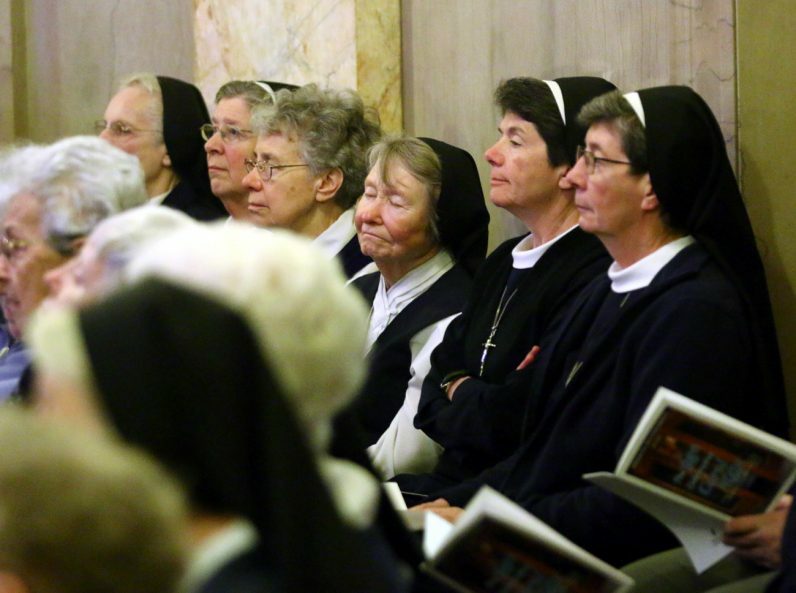 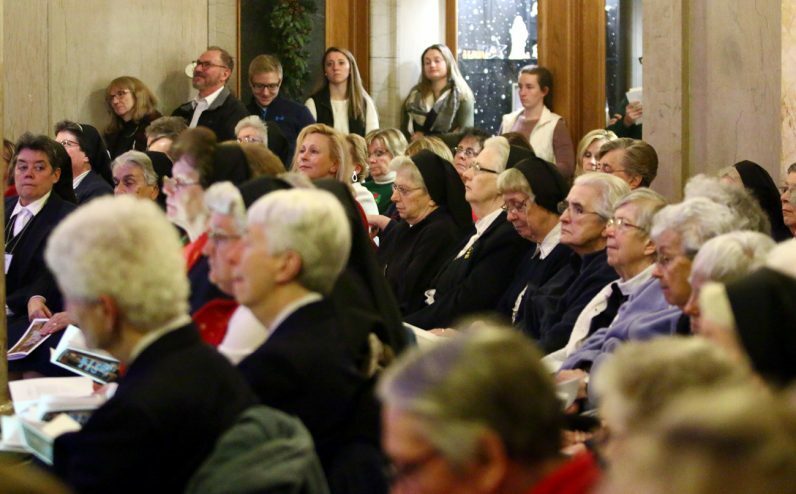 Sisters, Servants of the Immaculate Heart of Mary enjoy the festive program. 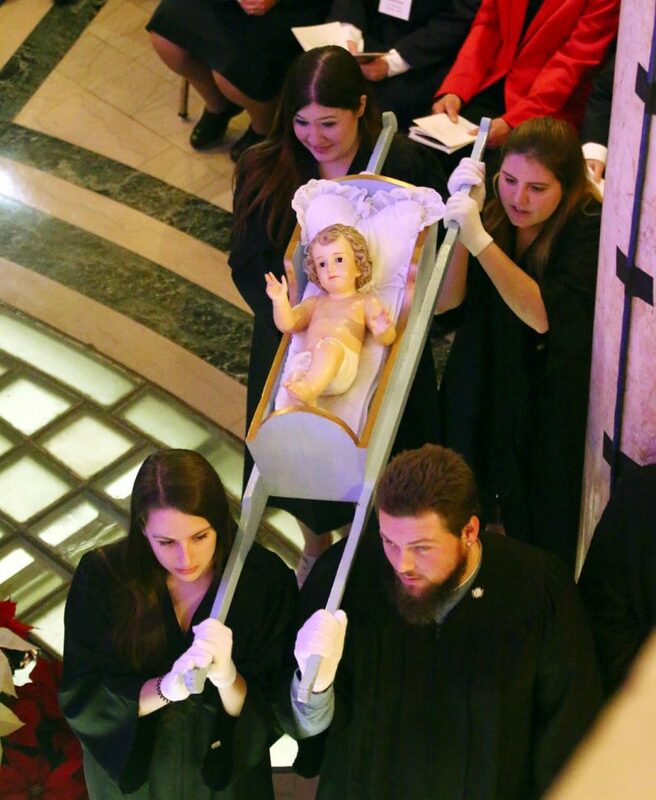 Immaculata students carry a statue of the Baby Jesus as the choir and crowd sing of the savior’s birth.